The River Nile has definitely gained quite a reputation over time. Queen Cleopatra–and many pharoahs before her–ruled over it long ago. In today's modern Egypt, transportation and industry depend upon it. How long is it? Where is the mouth of the Nile River located? These are just a few interesting questions that people ask. A natural wonder to behold, here are some facts about the Nile–facts that you just might not be aware of to this very day. Despite what you hear about the exact length of the River Nile, it is actually a figure that is very difficult to come by. This is because it is difficult to pinpoint just exactly where it begins. While scientists used to believe that Lake Victoria was its source, there are many complex streams and creeks feeding into Lake Victoria. Does that mean that the Nile begins on the southern end of Lake Victoria? The closest and most approximate figure to date is 4,175 miles or 6,719 kilometers. This is the figure pegged by National Geographic, after they conducted a thorough expedition of the river back in 2006. What Countries Does It Run Through? The mouth of the River Nile is located in the mountains of Burundi where it empties into the Mediterranean Sea. Then, it actually runs through 9 countries in Africa. These countries include Egypt, Uganda, Zaire, Sudan, Ethiopia, Rwanda, Kenya, Burundi, and Tanzania. Imagine the length of a river that runs through that many countries! Most people don't realize that the river actually runs from south to north. This may sound a bit off to some people but this is actually true because of the geographical orientation of the river. Rivers typically flow from higher ground to lower ground, and with the African southern countries bordering on higher ground than Egypt, the river flows from south to north. 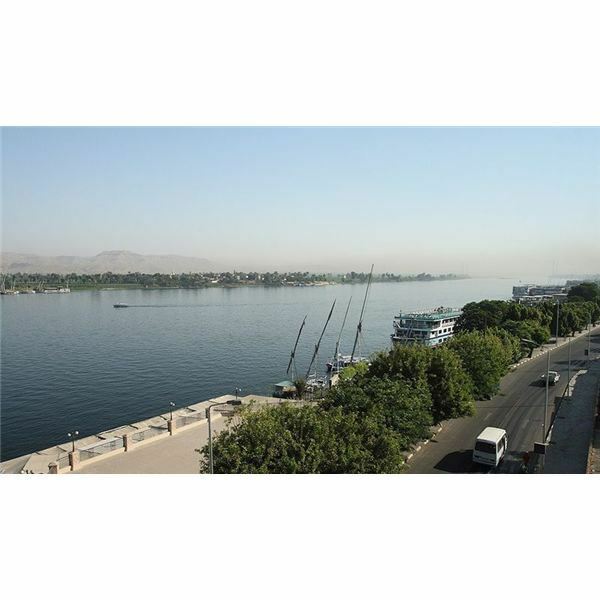 The River Nile actually comprises both the White Nile and the Blue Nile. This is yet another one of the many interesting River Nile facts that most people don't know. Where do those names come from? It's because of the color of the water that flows through its two tributaries–or rather the sediment it contains. The White Nile, which goes back to Lake Victoria and beyond, is so named since it carries sediment that is light gray in color. The water’s color is then a bit whitish-gray. In contrast, the Blue Nile, which comes from Lake Tana in Ethiopia, carries sediments that provide its blue color. However, as it reaches the country of Sudan where the sediment turns black, the Blue Nile’s water becomes darker and darker in color. While the White Nile is longer than the Blue Nile, the Blue Nile actually contributes more water to the Nile proper as it reaches Egypt. The Nile has always contributed much to the Egyptian society. Dating back to ancient civilization, it was actually the medium of transportation used for stone blocks necessary for the construction of the pyramids of Egypt. At the mouth of the river, its waters are responsible for a broad, fertile valley. To date, the River Nile still plays quite a supplementary role in ensuring the livelihood of farmers living on its banks. How Stuff Works. The River Nile. Sciences360.com. Facts About the River Nile. ArticlesBase.com. The Wonderful Facts About the River Nile.